I am the conservation representative for the NatSCA committee. In support of this role I have formed a sub group of natural history conservators to help inform the committee in its representation of the specialism. I am also on the editorial board. 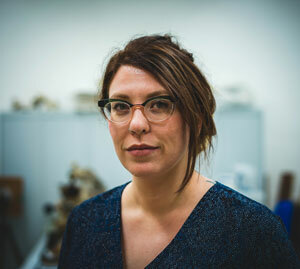 I work as a natural history conservator supplying services to the heritage sector across the country. I have developed an expertise with taxidermy and fluid collections. With my background as a human anatomist I also undertake work on human remains and medical collections. I am a trustee of Icon (Institute of Conservation), and an assessor for the Icon professional accreditation qualification (PACR). I also sit on their conduct committee, serving to improve professional activity and disputes. Previously, I served as co-ordinator of the ICOM-CC Natural History working group.